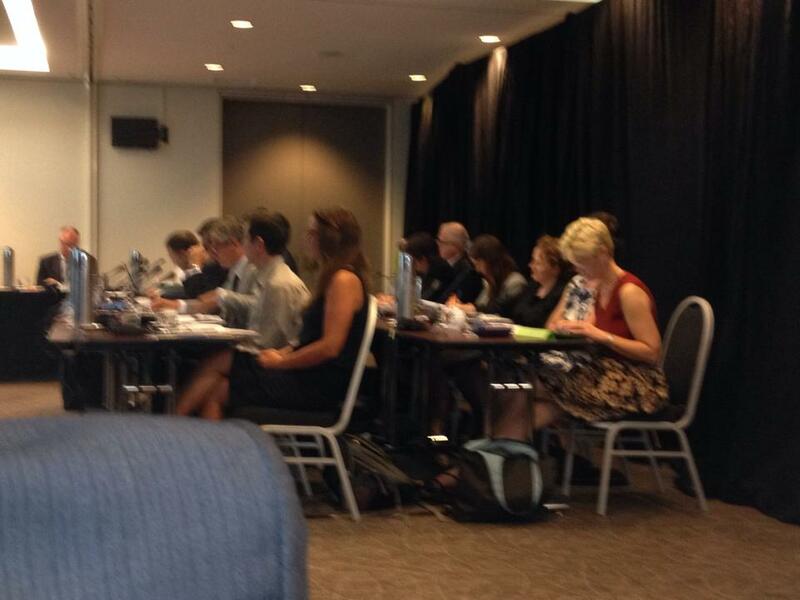 And here are the 2 rows of bureaucrats – contemplating the notion of hot tubbing. Held 14 January 2014 to outline key timelines prior to the Hearing and how the month long Hearing will be conducted. One side of the room comprised two rows of government agencies such as Linking Melbourne Authority (LMA), Department of Planning and Community Development (DPCD), Department of Transport (DOT), Environment Protection Authority (EPA) etc. Opposite them sat the key ‘submitters’ (for want of a better descriptor) such as the four Councils (mainly barristers representing, or officers) plus the only barrister representing a community stakeholder (Protectors of Public Lands Victoria Inc. (PPL VIC), / Royal Park Protection Group (RPPG). I ask the AC to consider and determine that the CIS was not prepared according to the Act and thus to find that it was not proper, under the conditions laid out in the Act for the Minister to have released the CIS to the public. As such, the CIS was not properly released under the Act into the public domain and so the Submissions and subsequent hearings are not valid. Thus, the only proper course of action is to fulfill the conditions of the act and require the Project Proponent to re-release a completed CIS, as per Sect.38 to 42, that fulfills Sect.39 of the Act. This will then provide the opportunity of due process to the public and submitters to consider and prepare submissions based on an accurate CIS. Until such time, the submissions to be heard at a Public Hearing, and the CIS itself should be considered as incomplete as they are based upon inadequate information. As such, I ask the Assessment Committee to determine if (until the CIS is properly prepared and released correctly according to all the steps laid down in the Act), it can lawfully consider both current submissions and the CIS according to its Terms Of Reference (Part 1.3, 2.2 & 2.7). Apologies, forgot to add to most important bit………..
Do we now have a situation where the Victorian Government throws the full force of the law at the protestors, while the Government itself, fails to obey its own law?